Once in a while, I get to travel to colder places on business trips. The most northerly for me thus far has been the regal city of Saint Petersburg, Russia or Spb as I call it. Each time I visit this city, I am reminded of the fact that this city, often known as the Venice of the North for its intricate patchwork of canals, is one of the great cities of the world, a city that should be on everyone's list of places to visit. Just try to avoid doing that during the winter months. I tend to forget that rule. Spb, with its unique grandeur, is very reminiscent of other great European cities. As you tour the city, you will come across countless palaces stretching along the banks of the River Neva, each seemingly outdoing the other in a some kind of architectural competition . As you drive down its wide imperial boulevards, at the height of each traffic rotaries, you will are likely to come across magnificent examples of cathedrals and churches, built in the style of Russian Orthodox or Baroque, projection both past strength and devotion. Saint Petersburg is like a drive-thru museum, rich in history and now propelled by a continued resurgence, a few years after its 300th anniversary. . Check out Flickr for many picture shots of the the city. Notice, the fresh spring snow. Yes, something we missed this year in the Northeastern US. Oddly, I welcomed it, as long as it stayed in Spb. And now for some food talk. The experience was quite limited as the trip was short, and my lenten restrictions, limited the kinds of meals I could go after. My explorations, did uncover some ideas to take back. The Tvorog, or Russian farmers cheese - in Russian творог - really tasted good , and seemed like a very versatile ingredient. The great news is that this cheese can be made fresh at home, starting with milk and sour cream. I will be making some in the near future. 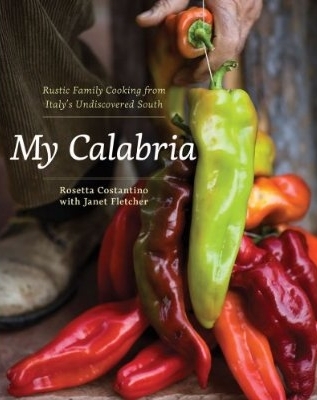 I got to taste it in a stuffed , slightly sweet pizza as well in a mushroom-based casserole. I was pleasantly surprised to have visited the "Coffee House" - in Russian Кофе хауз - the establishment that I would call The Starbuck's of Saint Petersburg. A 24 hour coffee shop, with great coffee drinks, and decent desserts, very nice ambiance, and free wi-fi perfect for checking email or for a quick internet chat.. Who would have thought ? Price-wise, it suspect it beats SBX , especially for adjusted for cost of living. 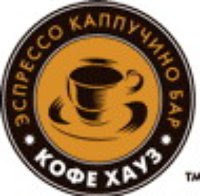 When in Spb., please visit them in person or on the web at http://www.coffeehouse.ru/. Do avoid drinking espresso drinks around 1:00 AM as I did., there is a chance your eyes won't shut when you go back to your hotel room. Too bad , I did not have enough time to tour the city, and search out some of the more typical eateries where the locals charge up. I really missed downing a few mugs of Kvass, a beverage made from fermented bread, slightly sweet , and mildly alcoholic . I also missed the Smoked fish over great tasting hearty northern European dark multi grain bread. Oh well, I will save that until the next trip, which I sense will be soon .